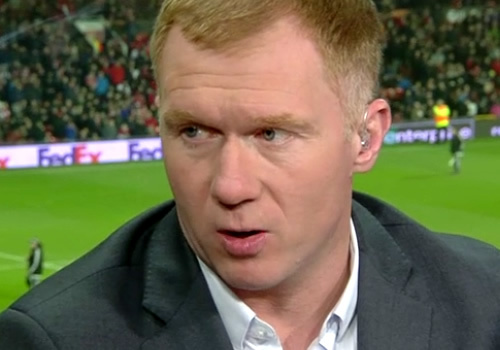 Paul Scholes believes Jose Mourinho needs to sign a creative player in the same mould as Kevin De Bruyne to improve his Manchester United team in the January transfer window. The Red Devils lacked invention in a disappointing goalless draw with Southampton on Saturday evening in their last Premier League game at Old Trafford in 2017. Manchester United have finished the calendar year with three successive stalemates following 2-2 draws with Leicester City and Burnley before the visit of the Saints. Mourinho’s side are in third place and 15 points behind runaway Premier League leaders Manchester City following their fourth stalemate of the current campaign. The 20-time English champions have failed to see a dramatic improvement to their performances since Paul Pogba’s return from suspension. Former Manchester United midfielder Scholes believes Mourinho needs a creative player to pull the strings in the Red Devils team like De Bruyne. Manchester United finished in sixth place in the Premier League table last term but the Red Devils won the League Cup and the Europa League. The Red Devils signed Everton striker Romelu Lukaku, Chelsea midfielder Nemanja Matic and Benfica defender Victor Lindelof. The 20-time English champions will make the trip to Everton on New Year’s Day.